【Beer trivia】Influence the taste of beer!? Learn more about malt! Have you ever heard about malt? It's one of the important ingredients of "hop" "malt' and "water" that are the essential for producing beer. If you like alcoholic beverage, absolutely you have heard of malt. However not so many people who can explain about the process to produce delicious beer with malt. This time I'll show you about "malt" so that you can enjoy beer with some knowledge about how it's actually made! What is malt which important ingredient of beer? Malt is made from "barley". Briefly, what germinated this "barley" is "malt". Give water to the barley, germinate. When they get bigger to some extent they are dried after that they remove the rootlets. The reason why they don't use the barley itself is that malt holds the key of "color" "taste and flavor" and" foaming". To more germination, drying at high temperatures also make the color of the malt darker. Because of these differences, it can be divided into types of "light colored malt" and "dark colored malt". The color black of dark beer, it did not color artificially. That is because the malt has dark color. For example, Pilsner Malt which is "light colored malt" used for Lager tastes light and refreshing. On the other hand Caramel Malt which is "dark colored malt" used for darker beers has a roasted aroma of coffee and caramel. Though by using the same ingredient barley, taste and fragrance are different. That is because of the malt. By changing the way of making malt, we can make various types and styles of beers with different tastes. The beer head is made with components of malt protein and hop. To fine-grained delicate beer head for more delicious beer, you need high-quality malt. In this way "malt" becomes in several ways an important role in the art of beer making. The differences between "barley" and "wheat"
Do you know the difference between "barley" and "wheat"? It is said that the origin of the name of "komugi" is because of wheat is often used as flour(ko) or it is produced for a long time(ko) or less(ko) use. On the other hand, it is said that"Ōmugi" is because of" many(Ō) uses" . Wheat is often used as flour and is still often used for "food" such as udon noodle and bread. On the other hand, barley is often used for seasonings or others. Especially varieties called Two-row barley among barley is often use for beer making. A content of starch is suitable, excellent germination, so it easy to use. Currently wheat as well is being used as an ingredient for beer making. However wheat has no husk so that it is fragile and difficult to use during polishing. Therefore "the beer ingredient is barley." Nevertheless, wheat beer called barley wine. It's popular because of more rich taste. Malt 100% beer is a beer that use only malt and hop as ingredients. Do not use auxiliary ingredients such as rice or corn starch. You can enjoy aroma of barley and rich taste from malt 100% beer. Japanese delicious beer. 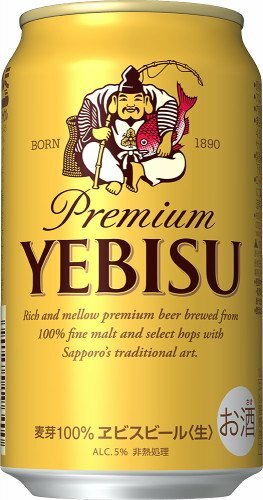 Talking of malt 100 % beer, everyone will think about this yebisu beer.All generation love this delicious dark beer. They take good care to all the details of ingredients "malt · hop · yeast". They do the best for high-quality "rich taste"of delicious beer. Besides you can smell strong aroma of barley. Recommended for this who wants to enjoy typical beer taste. ■Carlsberg　(Suntory) Danish Royal Warrant beer "Carlsberg"
Carlsberg founded in Denmark in 1847 and now you can drink this beer in about 150 countries around the world. Characteristic points of this beer are malt 100%, pure and tastes light and fresh. You can enjoy great aroma of hop. Representative beer in Northern Europe. 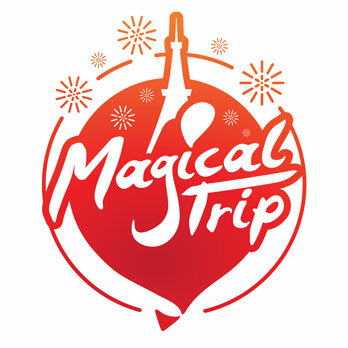 By contract with Suntory, domestic licensing production was carried out. So that you can taste traditional and closer to the original one. No strong flavor, law alcohol. Recommended for beer newbie or female. Currently sold in more than 170 countries. They own brewery factories in 100 countries around the world including the Netherlands. Besides they also provide technical guidance to 60 companies. Europe's largest and the largest beer company in the world. Kirin Brewery Company has a license agreement in Japan. Heineken is a "Pilsner" a type of lager. Strong amount of carbonic acid and a refreshing aroma. This beer has good balance of bitterness and sharpness. It is actually very difficult to create this balance. What creating this good balance is because of brewer's yeast called "A-Yeast ". This "A -yeast" was discovered by Heineken in the 19th century. It is cultivated only in the Netherlands for "Heineken" and send to the factories in countries around the world. Why not try taste a fruity beer! Malt is essential for making beer. Deliciousness and pay a lot attention to the malt are directly connected to the beer good or bad. By all means, when drinking beer from now on please also try to taste "deliciousness of malt" ! !